Giant suction cups with large hook. Use indoors and outdoors. 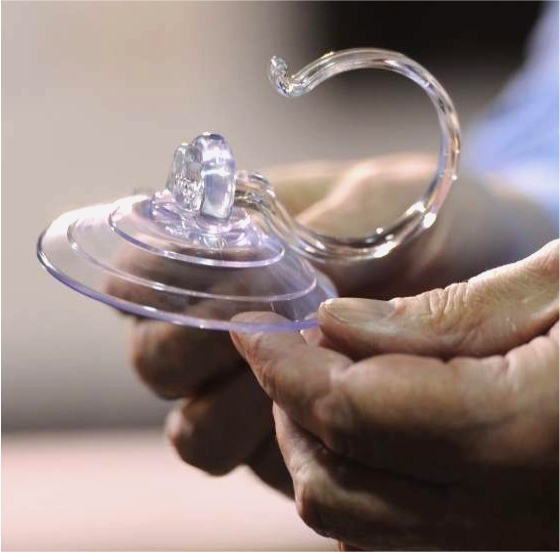 A giant suction cup with large hook will fix to glass or clean, dry, flat, slick/shiny, non porous, non textured surfaces like mirrors, glossy plastic, glazed ceramic tiles etc. 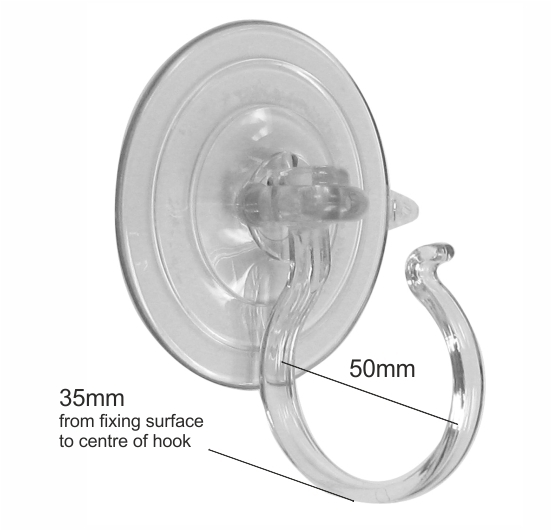 This suction cup with large hook is ideal as a wreath hanger on a plain, shiny UPVC door, glass door or window. Suction cups will not stick to composite doors due to their wood grain effect.